When big rigs — tractor-trailers, semi-trucks, or 18-wheelers — crash, you often hear about it on the news. That was the case in late April 2017, when a fiery big rig accident closed all lanes of Interstate 5 in Los Angeles. Why? Because the size of big rigs makes any accident much more serious. It is much more likely to cause injuries and fatalities. It is much more likely to cause major damage to highways and property. In addition, debris caused by a big rig crash can harm motorists and bystanders on southern California highways. Many big rig crashes cause fires, as the truck fuel ignites. They are also complicated crashes, with more possible causes than fender-benders between cars. Here are the top reasons big rigs crash. Driver error and driver fatigue can’t be separated in many big rig accidents. Drivers of big rigs can legally work up to 14 hours. Many are required by their companies to transport themselves to the place where they pick up their truck. As a result, they may have been awake much longer than their shift’s duration, perhaps more than 24 hours at a stretch. Lack of sleep impairs any driver’s response time and alertness to traffic cues. It can lead to accidents. Big rigs are complex vehicles. Safety measures like proper tire inflation matter on all vehicles, of course. But they can be major problems on big rigs, because the weight of the loads large trucks carry. When tires are underinflated, too much surface area hits the road. That heightens the friction the tires receive. With more friction, they overheat. They can blow out as a result. A blow out can cause a driver to lose control of the vehicle. The truck can cross lanes or even overturn if it has not been loaded correctly. In addition, blow outs cause flying debris, which can cause injury or death. Underinflated tires may be caused by poor maintenance. Big rig tires need to be checked regularly. However, maintenance responsibilities for big rigs are often assigned to contractors or subcontractors. Lack of communication and follow-up may cause these tasks to be overlooked. Big rigs carry a lot of cargo. It is imperative that the cargo be loaded properly. The material has to be well-balanced in the truck. It has to be secured as well. If it’s not loaded properly, it may either cause the entire truck to become unbalanced or shift while it’s being transported. The truck may become difficult to maneuver or completely unmanageable as a result of improper loading. 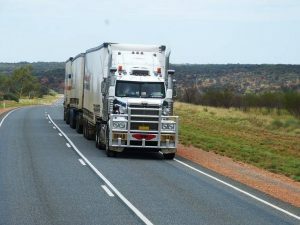 If a truck has several stops to make, the crew must unload the cargo for the specific place and reload the remaining cargo properly again. With proper loading, this should be kept to a minimum. Each stop increases the potential for accidents. Like maintenance, loading is often done by contractors or subcontractors. The causes of big rig crashes are complex and often spread between drivers, companies, their contractors, and their subcontractors. Ascertaining legal responsibility for a crash is often difficult and complex. Attorneys at the Ellis Law Firm have two decades of experience in big rig crashes. We know the causes and we know the complexity. If you or a loved one has been the victim of a big rig crash in southern California, we can help. Please call today for a free appointment to discuss your case with a California truck accident lawyer. We can be reached at 310-641-3335. ← Lane Change Truck Accidents: Who Is At Fault?